Book and Lyrics by Emilie Coulson and Katie Dahl. Music by James Valcq. Who are the strangers among us? Can we find a way to welcome them? And how can we seek to understand them better? 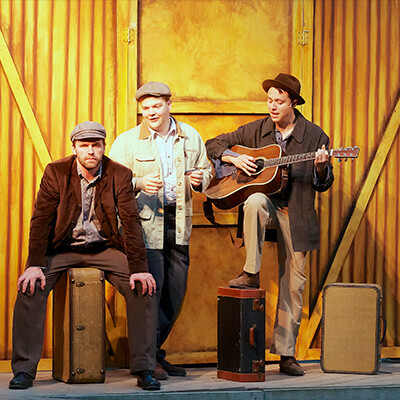 These are the questions posed by “Victory Farm,” the acclaimed musical play inspired by the true story of German prisoners of war who came to pick cherries in Door County during World War II. Having lost their father/husband to the war and in need of pickers for their struggling Door County, Wisconsin cherry orchard, Dottie and her mother Edna enlist the help of three German POWs. Forced to work together in these unlikeliest of circumstances, the Germans and the Americans work: to bring in the harvest, to find joy in dark times, and to connect through their differences. 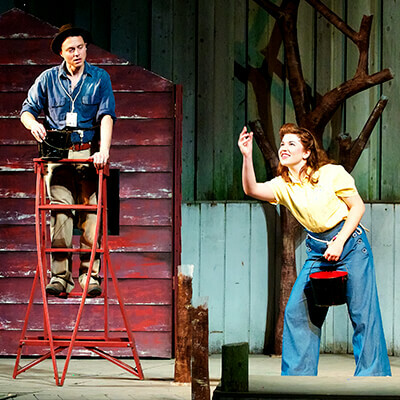 Clear-eyed, hilarious, and bittersweet, “Victory Farm” has captured the imaginations of thousands of theatergoers since it premiered at Northern Sky Theater in 2012. The musical has been made into a live cast album (purchase it here[please link to “albums” page]) and seen two encore productions. 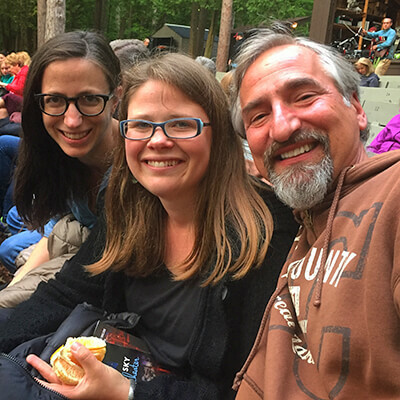 The Milwaukee Journal-Sentinel named “Victory Farm” one of 2017’s ten best theater productions in Wisconsin. If you are interested in producing “Victory Farm,” please contact Katie Dahl at katie@katiedahlmusic.com.